Large Pool & pool deck party lounge of area 3000 sq ft.
Sitout area outside the apartment as in villa..
Large dining space with tucked in shelf space. Private beautiful Terrace Gardens having double height to accommodate short trees, shrubs, bamboo shoots. The SFS group is maestros when it comes to delivering optimum satisfaction to their customers and perfection in their projects. Over the years, they have celebrated their quality reputation with their premium and world class projects. 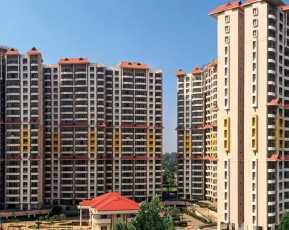 To live up their reputation, they have again cut the mustard and have come up with a world-class project, SFS Grandville in Kochi, Ernakulam, Kerala. Over the years they have proved their distinction by setting up new benchmarks of excellence and customer satisfaction with their magnificent projects and this project is a prime example. Well, the customers just fall in love with its strategic location. Located in Ernakulam, Kochi, the 2nd most important metropolitan city of Kerala. Kerala is popularly known as ‘God’s own country’ owing to its natural beauty, mesmerizing water bodies and awe-inspiring landscapes. Kochi has a population of about 2.1 million, making it the largest urban agglomeration in Kerala. Kochi was one of the 28 Indian cities among the emerging 440 global cities that will contribute 50% of the world GDP by the year 2025, in a 2011 study done by the McKinsey Global Institute. 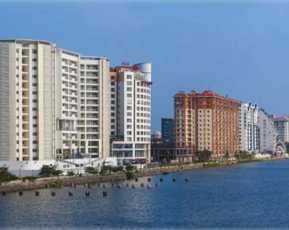 Kochi is known as the financial, commercial and industrial capital of Kerala. Kochi has been hosting India's first art biennale, the Kochi-Muziris Biennale, since 2012, which attracts international artists and tourists. These major perks have boosted the growth of real estate in Kerala. 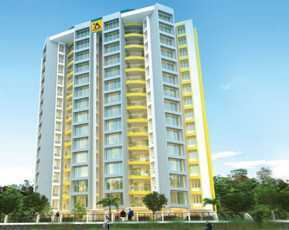 Ernakulam is an important residential locale of Kochi and is blessed with a very good network system of roads and highways which provide aggro free commuting. There are a number of utility building likes educational institutions, hospitals, restaurants, shopping malls and many more. Schools in this region include Kendriya Vidyalaya INS Dronacharya, Kendriya Vidyalaya 1 Kochi, Navy Children School, Edward Memorial Government Higher Secondary School and many more. Hospitals in this region include Gautham Hospital, Lakshmi Hospital, Cochin Port Trust Hospital, and Government Ayurveda Hospital and so on, restaurants include Five Star Chicken, Harbour View Restaurant, Rozario's Bakers & Caterers, Chicking and any more. This residential apartment in Kerala is a masterpiece when it comes to the provision of amenities and facilities and quality. The apartments are beautifully crafted with detailed architecture, they are well furnished and the SFS group hasn’t compromised with comfort and space. Some remarkable features of the apartments are Extra Large sized Homes, Large balcony to accommodate breakfast table and potted plants, Sit-out area outside the apartment as in villa, Large dining space with tucked in shelf space, Multiple balconies, Dedicated laundry space, proper air ventilation, beautiful views, ample sunlight, branded fittings, door and windows and many more. This project render world class amenities and authentic luxuries to its citizens, for example, Large Pool & pool deck party lounge of area 3000 sq ft., Private beautiful Terrace Gardens having double height to accommodate short trees, shrubs, bamboo shoots, Open Space, Multipurpose Hall, Lift, 24*7 power backup, manned security and water supply. Well, this list knows no bounds. SFS Grandville Price ranges from as low as 90.84* lakhs INR to 1.45* Crores INR. The coverage area of the apartments ranges from 1747 sq. ft. to 2595 sq. 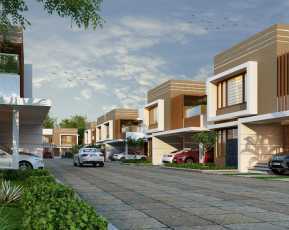 ft. and the apartment variants available in this project are 3 BHK and 4BHk with variable coverage area. 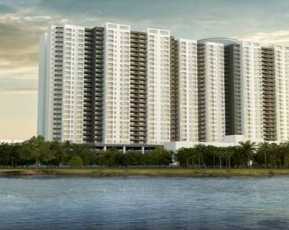 Therefore one can easily make out that these apartments are huge, spatial and very luxurious. No doubt this project is a smart investment when you get such premium amenities at affordable prices. So get your horses ready and go for this project.